percent and nondurables 1.1 percent. increase since the 0.9 percent increase in September 1985.
distributed among all of the other electrical categories. more than offset declines in the other categories. orders was in durable goods, up $2.9 billion or 0.8 percent. change in materials and supplies and work in process. DUSD, Bureau of 'he Census, Washington, DC 20233. See footnotet at end of table 2. 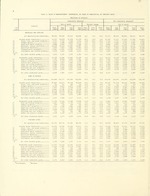 Instruments and related produce ts..
3,522 3,700 +5.6 +2.5 -s.8 4,041 16 4, o 4,0 ..
we- Intooftes at end of table 2. -3.4 -0.3 3,491 1,380 1,494 3,48. .7 -0.1 -1.6 4-.474 42. 2 .,79 .,0 4,1 ..
3.1 -1.1 +1. 1 ,? 3 1 2. 0 h 2. PPre I li nary. Re l ed. SIC Sept. 1981- Aug. Sept. 1981- Aug. Sept. 1981- Aug. Sept. 1981- Aug.
38 lustruments and related products.